The Brooding Hen: How Do I Glove Thee? How Do I Glove Thee? Sometimes all you need for a fantastic costume is to wear something special on your hands. 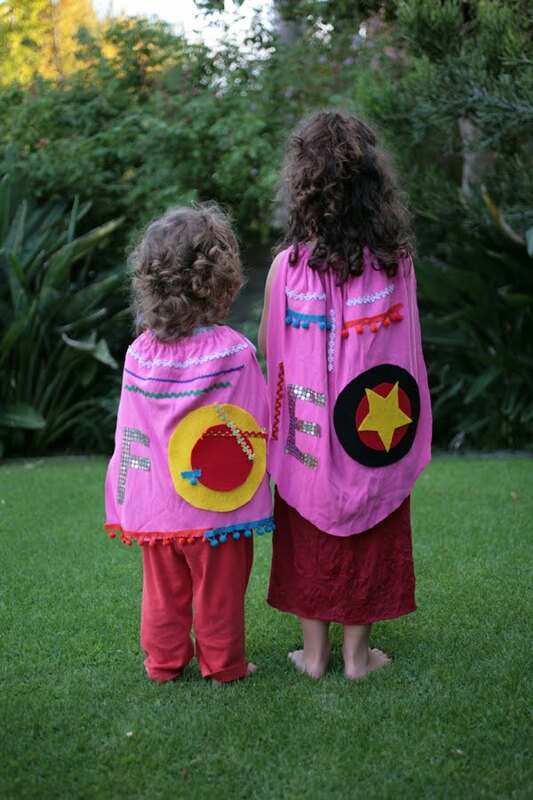 When our costumed kids look in the mirror, they are delighted to see themselves as someone else. But, imagine it from their perspective: as they freely run around they can keep looking again and again at their hands and their wild young imaginations will effortlessly fill in the rest. A pair of grey, brown or black socks on the hands can be an entire animal costume, and if you stitch on some simple claws or fur, it's even better. These can, of course, be any color, but there is something wonderfully open-ended about all black. Ruben has worn these every day for months. 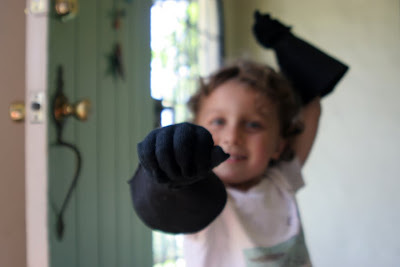 He calls them his Batman gloves, but they have also been used for witch, police officer, pirate, knight, motorcyclist, Robin Hood, Zorro and many other generic super heroes. Diego is eager to make some sparkly multi-colored ones, and we'll probably make some fancy pink ones to match the cape of our little friend who is about to turn three, but Ruben's favorites are definitely the black ones! 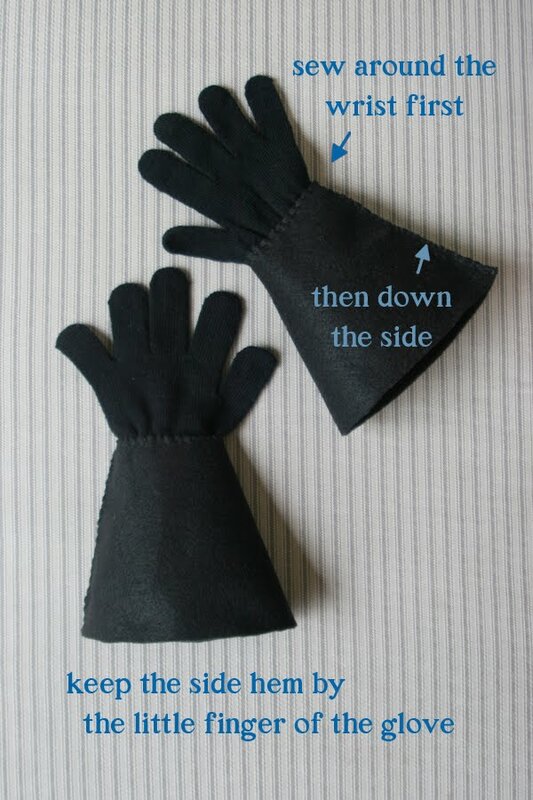 Make sure the part of the felt that goes around the wrist of the glove is a little loose, enough for a tiny bit of stretching when putting on the finished gloves. 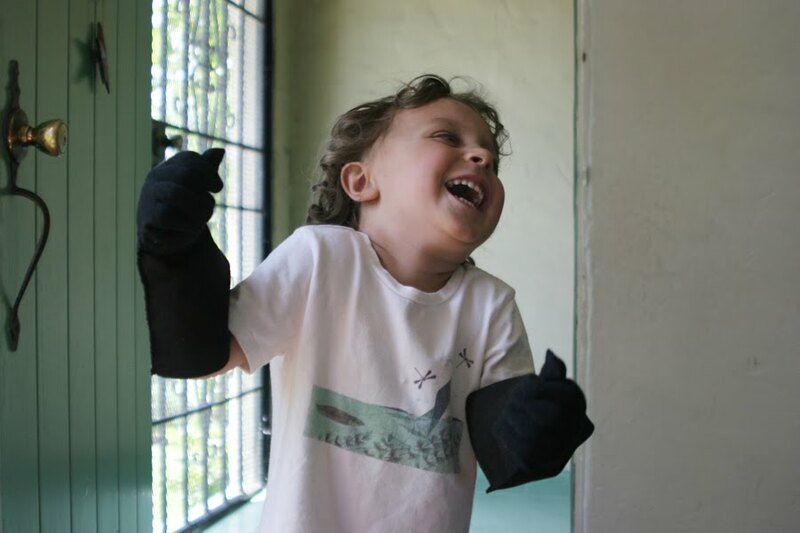 Young children might need a little help when they are first learning how to put them on, but they'll soon be able to do it themselves. I got the gloves at Target at the end of the winter season. They were 6 pairs for a dollar! That first picture of your little one is hilarious - it looks like a great evil laugh! And funny enough - we have that very same shirt. I have been thoroughly enjoying this blog, it is so beautiful and fun and inspiring. I am seeing some pink sparklies in our future. And maybe tie-dyed ones for Bea. This is a wonderful idea. I love little kids playing dress-up and it is so interesting that just a little detail or two can be all they need to feel thoroughly "dressed up." Thank you soooo much for this. 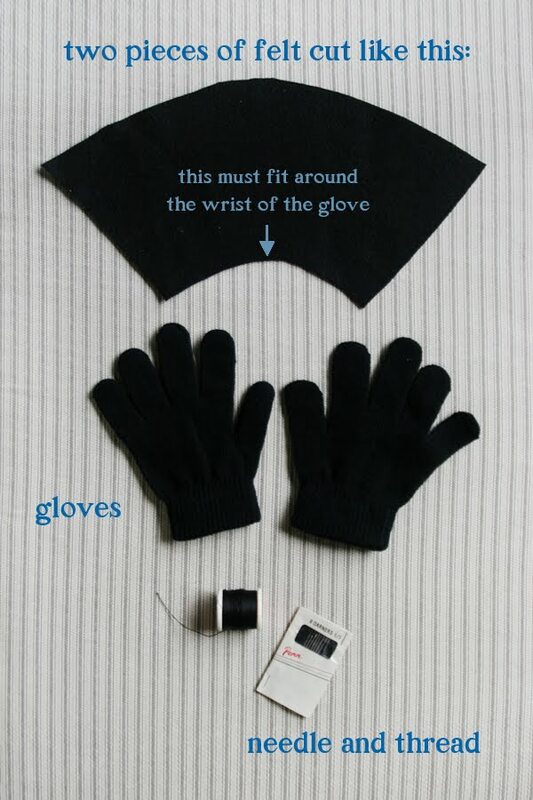 I was looking up ways to make my own gloves for my son's darth vader costume. This is so much easier. Thank you. Oh, wheat! Lots of wheat! Fields of wheat. Enough with the gloves, already!